Our Children and Climate Change - agrandstandfortheenvironm's JimdoPage! What are we telling our kids about climate change? What can they tell us? How can we together face the climate challenge with honesty, compassion, courage and action? 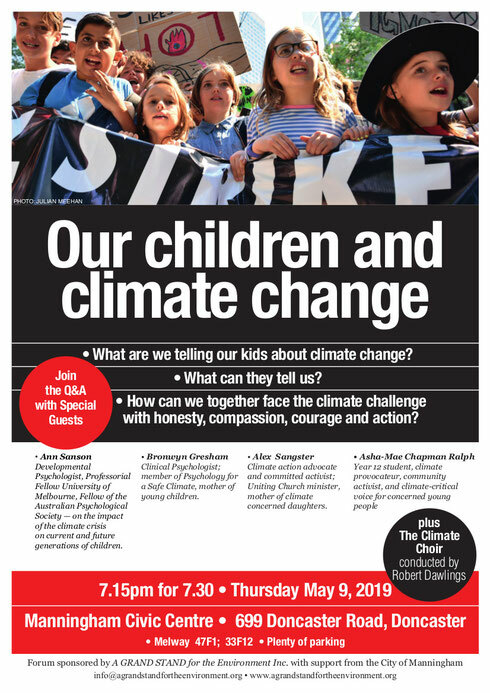 These and other burning questions about Our Children and Climate Change will fire the coming GRAND STAND for the Environment Forum on Thursday 9th May 2019. This is an event that parents and grandparents relating to children should not miss. No admission charge, donation welcome.